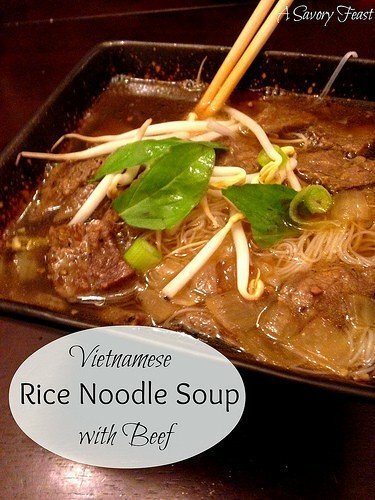 One of my favorite hole-in-the-wall places in my hometown is a little Vietnamese restaurant where they serve rice noodle soups. I love how they bring you a plate of garnishes along with your steaming hot bowl of broth, noodles and meat. Andrew and I have been talking about making it at home forever, so when I was trying to decide what to make the other night I thought it was time to give it a try. 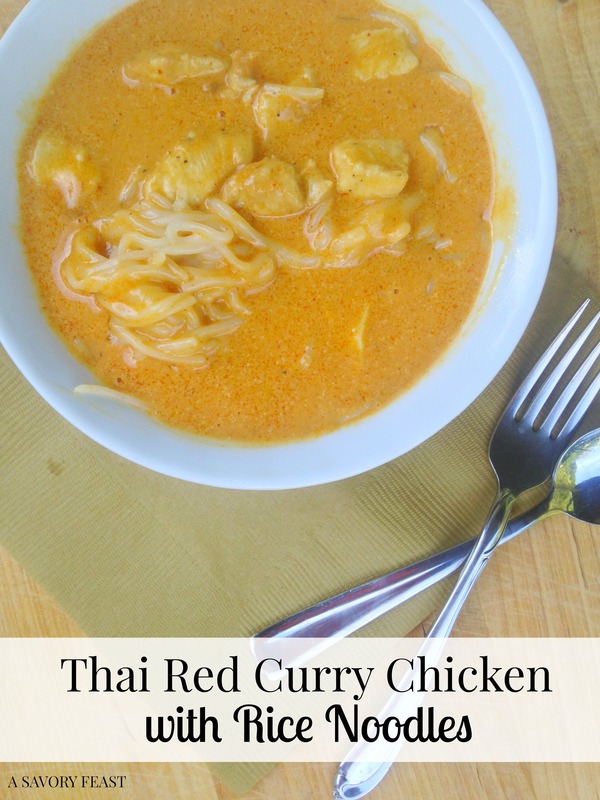 Even though the list of ingredients looks pretty long, this dish is so easy and fast to put together! Andrew and I made it together and were impressed at how quickly we were done and sitting down to eat. The best part of this meal is adding your own garnishes to create a unique flavor. It turned out a little bit different for each person depending on the amount of each garnish we added. 1. Heat 1 tablespoon of oil in a skillet and cook the steak for 5-7 minutes or until done. Set aside. 2. In a large pot, heat the other 1 tablespoon of oil at medium high. Saute the onions and garlic for 2 minutes. 3. Add the ground ginger, lime and fish sauce. Stir for 1 minute. 4. Add chicken broth, beef broth and water. Stir and bring to a boil. 5. Add soy sauce and sugar. Let simmer 15 minutes or until ready to serve. 6. Prepare the rice noodles according to the directions on the package. 7. 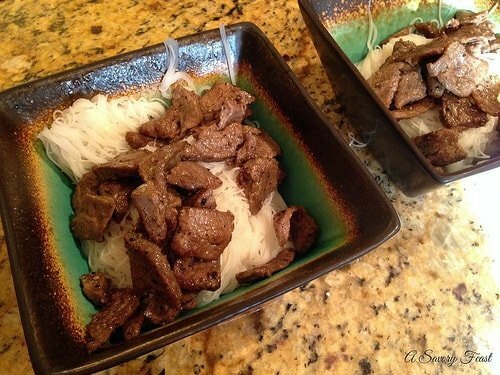 Divide the rice noodles among the bowls. Add beef. Ladle the broth on top. 8. 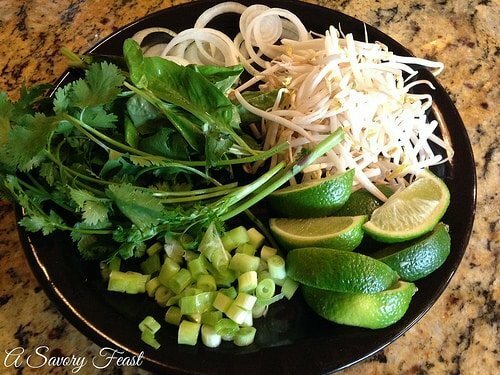 The basil, cilantro, green onions and lime are for a garnish and to add flavor. I like to arrange them on a plate and bring to the table so that everyone can add what they like to their bowl.